The Olympic Development Programme riders face a tough challenge at the Course de la Paix Junior in the Czech Republic at the moment against some of the world’s top young riders. Eight riders abandoned on yesterday’s 98km stage from Most to Litvinov, won in the driving rain by Russia’s Evgeny Shalunov. Simon Yates was the top-ranked Brit in 23rd, 55 seconds in arrears of Shalunov, but a result that saw the youngster rise to 24th in the overall standings. Adam Yates, Daniel Mclay, Owain Doull and Sam Harrison are 46th, 68th, 69th and 70th overall respectively. The race continues today with a split stage, with a time trial in Trebenice followed by a 97km road stage in Roudnice. Boardman Bikes will be the title sponsors of the Tour Series’ sprint competition, following news that Halfords will be title sponsor of the event. ”It’s great for Boardman Bikes to be involved in this year’s Halfords Tour Series. With the phenomenal success of last year’s events, it made sense for us to go from being the winning team’s bike sponsor to the sprint competition sponsor,” said Chris Boardman. Riders will compete for the jersey in three sprints per round, held at 15-minute intervals. 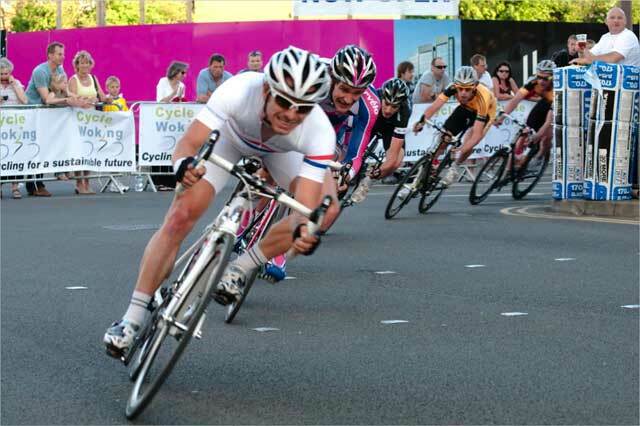 The first round of the Tour Series will be on May 25 at Canary Wharf. Highlights of every round will be on ITV4 the evening after each race. Alan Bate is currently on course to break the existing around the world circumnavigation record. Since leaving Bangkok on March 31, the ex-pat Brit has ridden over 7,000 kilometres through Malaysia, Australia and New Zealand, regularly achieving his daily target of 300 kilometres. He is now on the way to San Francisco for the American leg of his ride. It remains to be seen whether Bate can keep up his rapid early pace. The world circumnavigiation record currently belongs to former London bicycle courier Julian Sayfarer, who completed the 28,970km journey in 165 days last December. Bate is attempting to break the record for his hero, the King of Thailand. For more information, visit www.worldcyclingrecord.com. For those not quite up to the challenge of the 112-mile Etape du Dales sportive, there will be a 40-mile option in the morning led by Dave Rayner’s father, John. This year the President’s Ride will take place on the same day as the sportive (May 16) and will be led by John in the absence of fund president, Brian Robinson. Robinson has been recovering from the injury he sustained last year and has been back riding his bike. Unfortunately he is now suffering problems with his eyes and is due to have a cataract operation on the Friday before the event which will prevent him from riding. John Rayner, a past road racer himself, has stepped in to lead the ride which sets out from the sportive event HQ at around 10:00. The guided route will take in 40 miles with cafe stops for the donation of £10 to help raise funds for the Rayner charity. As an added incentive to ride the sportive, Malcolm Elliott is due to take part and on a rather special Pinarello, a one-off special Roubaix bike that he was due to ride in the CiCLE Classic but has only just received due to the volcanic ash disruption. See www.etapedudales.co.uk for more details. To celebrate the start of the Grand Tour season with the Giro d’Italia starting tomorrow, Condor is organising a book signing evening with two of cycling’s most prolific writers. William Fotheringham and Graeme Fife will be on hand to sign copies of their latest books, or alternatively, bring your own copy to be signed. “We’re really excited to be joined in-store by not one but two best-selling authors,” explained shop manager, Greg Needham. As an added incentive to take part in the Bournemouth Sportive on May 16, organisers UK Cycling Events are offering riders the chance to ‘ride with a friend’. To you and I, it’s buy one get one free. What other reason do you need to get out there and ride?